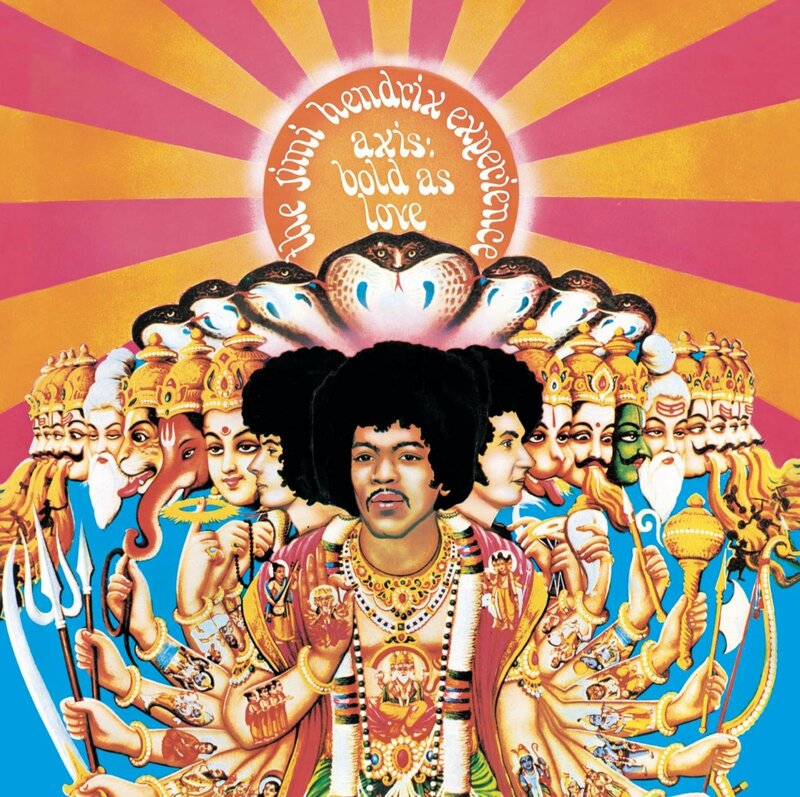 JIMI HENDRIX-ARE YOU EXPERIENCED, AXIS: BOLD AS LOVE AND ELECTRIC LADYLAND-VINYL EDITIONS. Jimi Hendrix’s career was tragically short. He only released three albums during his lifetime. These albums were recorded with The Jimi Hendrix Experience. 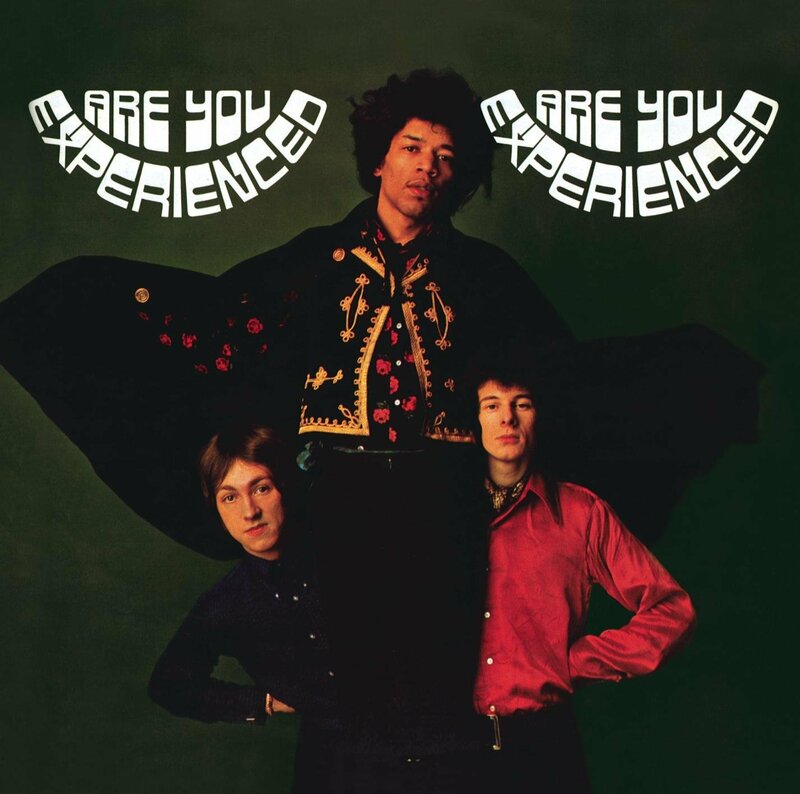 Their debut album was Are You Experienced, which was released on May 12th 1967. It was released to widespread critical and commercial success. Are You Experienced introduced the world to Jimi Hendrix, a musical maverick, and legend in the making. Then on December 1st 1967, The Jimi Hendrix Experience released their sophomore album Axis: Bold as Love. Under the terms of their recording contract, The Jimi Hendrix Experience had to release two albums during 1967. Axis: Bold as Love was the album that saw The Jimi Hendrix Experience fulfil their contractual obligations. While it was released to widespread critical acclaim and commercial success, Axis: Bold as Love wasn’t released in America. Track Records were worried if they released Axis: Bold as Love in America, it would affect sales of Are You Experienced. They need not have worried. Both albums sold in huge quantities, transforming the lives of the three members of the Jimi Hendrix Experience. They could do no wrong. Especially Jimi Hendrix, whose star was in the ascendancy. Jimi Hendrix looked like becoming one of the biggest stars of the late sixties. He was being hailed by many as the finest guitarist of his generation. When The Jimi Hendrix Experience released Electric Ladyland on October 16th 1968, this only reinforced this claim. Electric Ladyland was The Jimi Hendrix Experience’s finest album of their career. It was their Magnus Opus. However, Electric Ladyland was the final album The Jimi Hendrix Experience released. Tragically, Electric Ladyland was also the last studio album released during Jimi Hendrix’s career. Around 11a.m., on the 18th September 1970, Jimi Hendrix was found unresponsive at an apartment in the Samarkand Hotel, in Notting Hill, London. He was rushed to the St. Mary’s Abbot’s Hospital, but pronounced dead at 12.45p.m. Jimi Hendrix was just twenty-seven. However, music had lost one of the most influential and innovative guitarists of his generation. That’s despite Jimi’s solo career beginning just four years earlier. Since then, Jimi had released a trio of studio album and one live album. The Jimi Hendrix Experience’s three studio albums, Are You Experienced, Axis: Bold As Love and Electric Ladyland will be released on vinyl, by Sony Music, on 5th September 2015. These albums are a remainder of a musical maverick at the peak of his powers. Jimi Hendrix took music by storm, and vied for the title of rock’s greatest guitarist. Throughout his solo career, Jimi was a flamboyant showman, who growing up, modelled himself on T-Bone Walker. It was T-Bone who Jimi saw playing his guitar with his teeth. When Jimi saw this, he took it as a challenge. This became part of Jimi’s routine. In years to come, Jimi played his guitar as if his life depended upon it. Jimi, on form, was like a man possessed. Some nights, Jimi played his guitar behind his back, played it with his teeth and as if trying to exercise some inner demons, set his guitar on fire. All this made Jimi one of the most exiting guitarists ever. However, Jimi was also a technically brilliant guitarists of his generation. That was apparent from The Jimi Hendrix’s 1967 debut album Are You Experienced. It featured the debut of the legendary power trio of drummer Mitch Mitchell, bassist Noel Redding and guitarist Jimi Hendrix. They fused rock and psychedelia on eleven tracks penned by Jimi Hendrix. When Are You Experienced was released, it was hailed as one of the greatest debut rock albums. It showcased an innovative fusion of rock and psychedelia. At the heart of the Are You Experienced’s sound was the freewheeling sound of Jimi Hendrix’s guitar. He could do things other guitarists could only dream of. Add to the equation Jimi’s languid, charismatic vocal and it’s no surprise that Are You Experienced was such a huge commercial success. When Are You Experienced was released in Britain, in May 1967, it reached number two. This resulted in a gold disc for the Jimi Hendrix Experience. No wonder. Are You Experienced featured future Jimi Hendrix classics like Foxy Lady, Third Stone from the Sun and Are You Experienced? Three months later, in August 1967, Are You Experienced was released in the US. It reached number five, and was certified platinum five times over. For Jimi, this was the start of a three year period where he could do no wrong. Seven months later, on 1st December 1967, the Jimi Hendrix Experience returned with their sophomore album Axis: Bold As Love in the UK. It featured thirteen tracks. Twelve were penned by Jimi. These tracks showed Jimi evolving as a songwriter. He may have just been twenty-five, but he was a talented songwriter. Proof of this were tracks like Spanish Castle Magic, Wait Until Tomorrow, Castles Made of Sand and Bold As Love. They featured Jimi coming of age as a songwriter. These songs were recorded at Olympic Studios, London. Recording of Axis: Bold As Love took place at Olympic Studios, London. The sessions took place during May, June and October 1967. Axis: Bold As Love had to be released during 1967. The contract that the Jimi Hendrix Experience had signed stipulated this. Ironically, the album was nearly lost. However, Axis: Bold As Love was only released in Britain in December 1967. One night, Jimi Hendrix took the master tapes to side one home. Unfortunately, Jimi left them in a taxi. The master tapes were never found. This resulted in side one being mixed again. This didn’t delay the release of Axis: Bold As Love. Axis: Bold As Love, was released in Britain, on 1st December 1967. It was released to the same critical acclaim as Are You Experienced. Critics ran out of superlatives in an attempt to describe Axis: Bold As Love. Jimi was described as some sort of musical messiah, who had music’s future in his hands. Record buyers agreed with the critics description of Axis: Bold As Love. When Axis: Bold As Love was released in Britain, it reached number five and was certified silver. Then on January 15th 1968, Axis: Bold As Love was released in America. However, Axis: Bold As Love hadn’t been released in America during 1967. There was a reason for this. The Jimi Hendrix Experience’s record company were scared this would affect sales of Are You Experienced. So Axis: Bold As Love wasn’t released in America until January 1968. When it was released, it reached number three in the US Billboard 200 and was certified platinum. Although not as successful as Are You Experienced, Jimi Hendrix was riding the crest of a musical wave. By October 1968, when The Jimi Hendrix Experience released Electric Ladyland, Jimi Hendrix was one of the most successful musicians in the world. His albums sold by the million, and when The Jimi Hendrix Experience played live, they were one of the hottest live acts. This showed when Electric Ladyland was released. Unlike The Jimi Hendrix Experience’s two previous albums, Electric Ladyland was an ambitious double album. It featured sixteen songs. Thirteen songs were penned by Jimi. Two of the covers were Bob Dylan’s All Around The Watchtower and Earl King’s Come On (Let the Good Times Roll. These tracks, and the rest of Electric Ladyland were recorded at three recording studios. Recording sessions took place between July and December 1967, then between January and April 1968. Three different studios in London and New York were used. This included Olympic Studios in London and Record Plant Studios and Mayfair Studios, New York. 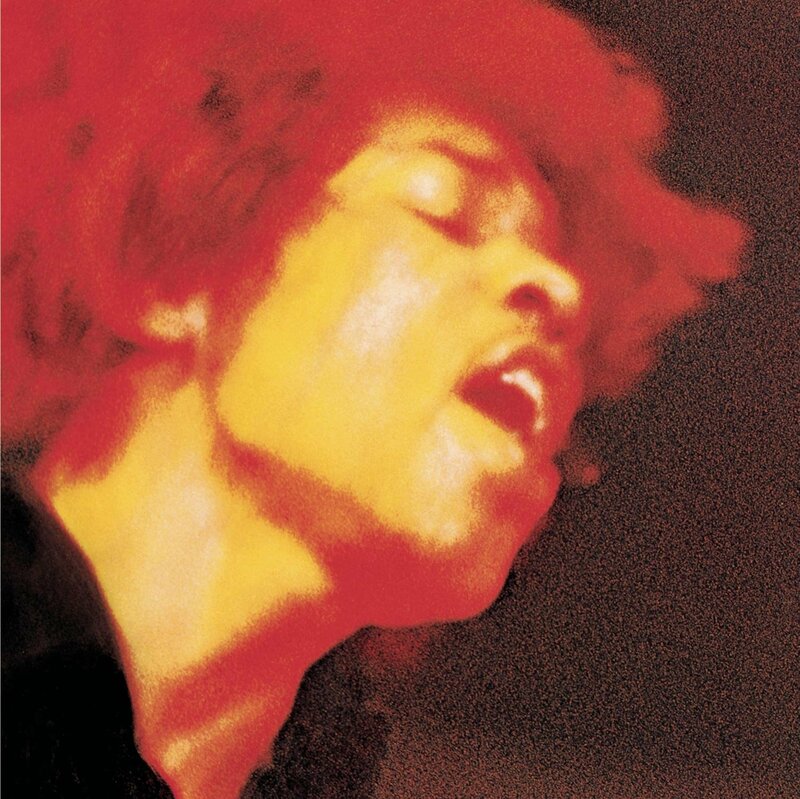 Once the sixteen tracks were recorded, Electric Ladyland was released in October 1968. As soon as critics heard Electric Ladyland, they realised that this was The Jimi Hendrix Experience’s. It oozed quality. Tracks like Crosstown Traffic, Voodoo Chile, Voodoo Child (Slight Return), All Along the Watchtower and Gypsy resulted in what was the greatest album of The Jimi Hendrix Experience’s career. Critics hailed Electric Ladyland a career high for The Jimi Hendrix Experience. Record buyers agreed. When Electric Ladyland was released in Britain, on 16th October 1968, it reached number six and was certified gold. Nine days, later, on 25th October 1968 Electric Ladyland was released in America. It reached number one on the US Billboard 200 and was certified double platinum. The rise and rise of The Jimi Hendrix Experience continued. Just like their previous two albums, their third album Electric Ladyland became a classic. Electric Ladyland was the album that The Jimi Hendrix Experience were always capable of making. It was a coming of age for The Jimi Hendrix Experience. They’d released the finest album of their three album career. Sadly, there was a twist in the tale. Electric Ladyland would be The Jimi Hendrix Experience’s final album. On the 18th September 1970, Jimi Hendrix died. He was the latest addition to the infamous twenty-seven club. Music was in mourning. No one could believe Jimi Hendrix was dead. However, given his appetite for the rock ’n’ roll lifestyle, Jimi must have cheated death many times. Sadly, his luck ran out. His musical legacy was just three studio albums and one live album. However, Jimi Hendrix had been a prolific recording artist. There were many tracks in various states of completion. This was more than enough for several album’s worth of material. They would be released over the next forty-four years. However, for purists, The Jimi Hendrix Experience’s three studio albums, Are You Experienced, Axis: Bold As Love and Electric Ladyland will be released on vinyl, by Sony Music, on 5th September 2015 contain the finest music of Jimi Hendrix’s tragically short career. They were a tantalising taste of what Jimi Hendrix was capable of. He was, without doubt, one of the finest guitarists of his generation. Jimi Hendrix is still regarded as one of the greatest musicians in the history of modern music. He was a freewheeling, flamboyant, musical maverick, who did things his way. This included playing his guitar with his teeth. When Jimi saw T-Bone Walker do this, he took it as a challenge. Soon, it became part of Jimi’s routine. In years to come, Jimi played his guitar as if his life depended upon it. Jimi, on form, was like a man possessed. Some nights, Jimi played his guitar behind his back, played it with his teeth and as if trying to exercise some inner demons, set his guitar on fire. All this made Jimi one of the most exiting guitarists ever. There’s no denying that Jimi Hendrix was also a technically brilliant guitarists of his generation. Sadly, he was also fundamentally flawed. Just like so many musicians who came to the fore in the sixties, Jimi Hendrix had a penchant for the rock ’n’ roll lifestyle. Drink and drugs were ever-present as Jimi lived life in the fast lane. Life was for living, and Jimi was determined to try everything once. He took this as a challenge. As a result, Jimi had a few close calls. However, there’s only saw often you can dice with death. On on the 18th September 1970, Jimi Hendrix died from an accidental overdose of sleeping pills. That day, music lost one of its most talented sons. His musical legacy included three studio albums and one live album. Since then, Jimi’s discography has grown. Twelve further albums have been released. They feature Jimi Hendrix as he matured as a singer, songwriter and musicians. Goodness knows what kind of musical colossus he might have become, had he cheated death? He may have continued to have been one of the most innovative and influential musicians of his generation. Sadly, that’s mere speculation. What we do know, is that Jimi Hendrix leaves behind a rich musical legacy. The jewel in the crown are the trio of classic albums Jimi Hendrix recorded with the Jimi Hendrix Experience. Are You Experienced, Axis: Bold As Love and Electric Ladyland are classic albums. They’re a tantalising taste of what Jimi Henrix at the peak of his powers was capable of. ← SLY AND THE FAMILY STONE-LIVE AT THE FILLMORE EAST-OCTOBER 4TH AND 5TH 1968.